I am working on sharing audio recordings of live classes, and I have a couple from yesterday's class ready to share. 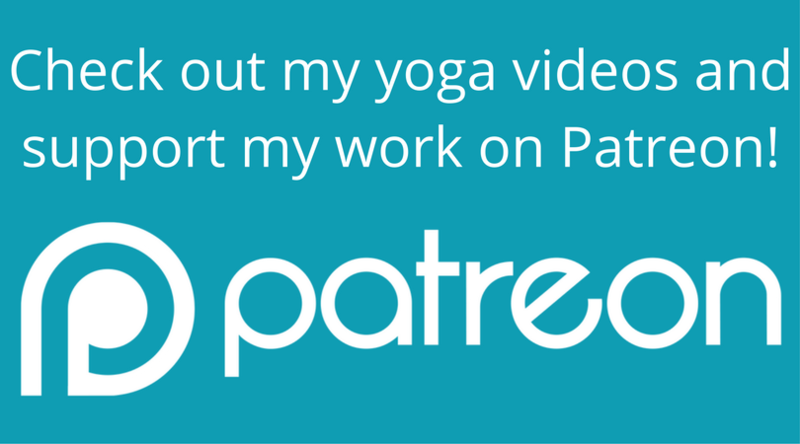 I intend to keep them all on my Patreon page, so you can access them for a home practice if you can't make it to class or want to do a guided yoga routine between classes. Both classes have a similar sequence of yoga poses, and a focus on lengthening exhale. The meditation is intended to bring a sense of lightness and kindness in preparation for holiday celebrations. You will want a chair and a towel or blanket handy for the morning class, and possibly for the evening class as well. You can stream these audio recordings completely free.If you try the links out, I appreciate your input on the recordings. Thank you, and I hope you find them useful!